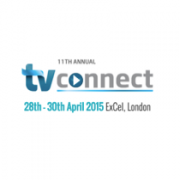 London, April 23rd, 2015 – TV Connect, the world’s leading connected entertainment event, today announced a series of enhanced services and brand new innovations on the show floor at the ExCeL conference centre, London, April 28-30. Highlights at this year’s event include solutions introduced in Europe for the first time that enable operators to launch new services extending linear TV and leveraging connected devices and multiscreen. TV Connect brings over 200 companies that are creating the future of TV and video in one place. The show floor will demonstrate how innovation often requires re-engineering in traditional broadcast or Over-The-Top (OTT) systems, such as playout, as well as showcase software-based video processing up to 4K, support for exciting new trends in OTT and Bring-Your-Own-Device (BYOD) TV, and end-to-end IPTV. Crucial video functions such as video processing and delivery have been enhanced to accommodate next- generation displays able to support 4K and HEVC. Keith Wymbs, Chief Marketing Officer at Elemental, explained how the company continues its efforts as a pioneer in software-based video processing to distribute video over IP networks: “At TV Connect, Elemental will demonstrate software-defined video solutions that enable telco and other operators to implement scalable, unified infrastructure that supports both linear channel and multiscreen content delivery. We will also showcase cloud-based live and on-demand delivery of 4K HEVC video, just-in-time video packaging and content-aware ad insertion.” Additionally, Wymbs will participate in an interactive panel discussion on Tuesday, April 28 at 12:10, where he will discuss how to reach and engage the growing OTT footprint. 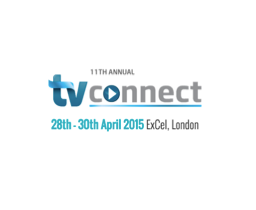 TV Connect, the world’s leading event on connected entertainment, is organised by Informa Telecoms & Media. The event takes place on April 28-30 at the ExCeL in London.